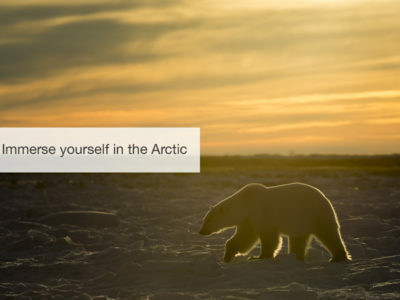 FiveZero’s Polar Bear Safari brings you to the magical town of Churchill, Canada, for an experience you’ll never forget. 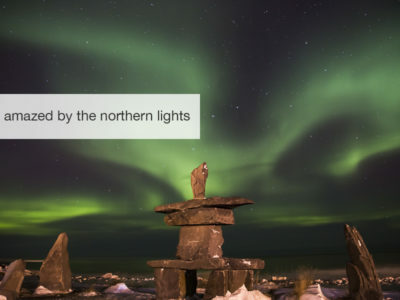 Nestled between the banks of Hudson Bay and the Churchill River in Northern Manitoba, it is known as the Polar Bear capital of the world, and is one of the best places to view the Northern Lights. 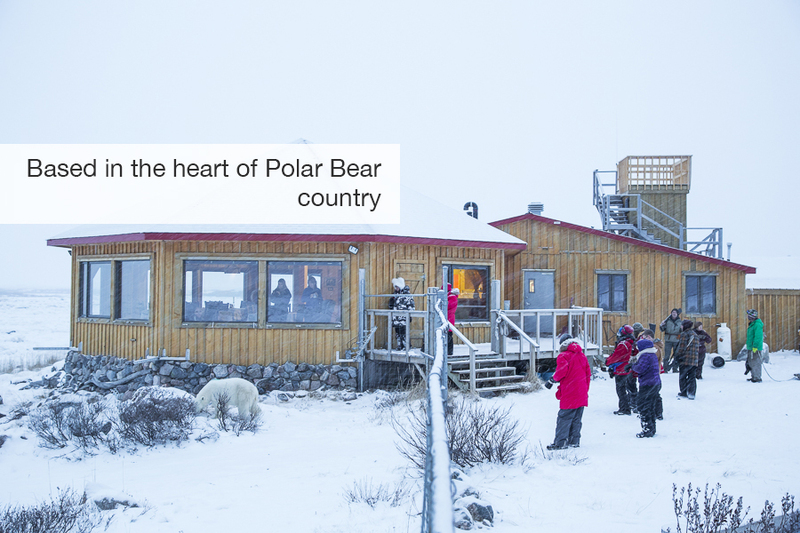 Your lodge is situated a short flight north of this quaint town, surrounded only by the Arctic and it’s inhabitants. 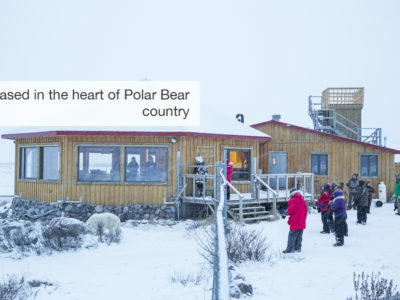 Wandering Polar Bears walk right up to, and in front of the lodge 24 hours a day, often followed by the snow white arctic foxes scurrying along. 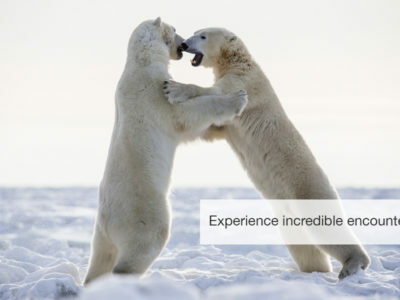 This is a unique experience, where you get to really connect with the king of the ice – all the safaris are done on foot, so you get a much better idea of the true size and power of the bears. You are guided by very experienced rangers who fully understand the bears and their behaviours, and keep you at a safe distance the whole time. 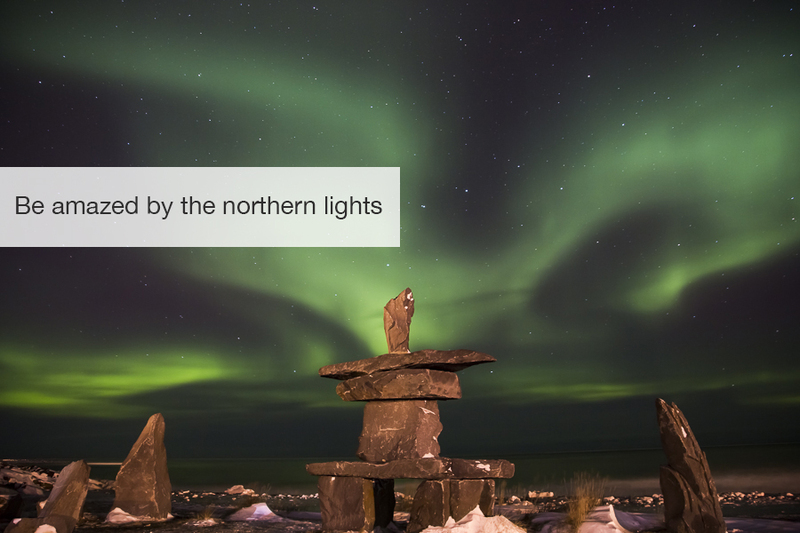 When the sun sets, keep your eyes turned towards the heavens, as the magical northern lights display on most nights. Evenings are spent near the fireplace sharing the day’s adventures, or taking in an informative lecture or slide show. While you’re there don’t forget to do a little dog sledding or heli-tour to make this magical experience complete. Contact our safari specialists to help you plan your dream safari! Arrive in Winnipeg, Canada where you’ll stay the night before your early morning departure to Churchill. Here, you’ll have a chance to relax and meet your safari group. Set in a wildly rugged and remote location, the authentic wilderness lodge features expansive picture windows for spectacular views and a common area with a fireplace to make even the coldest winter nights cozy. 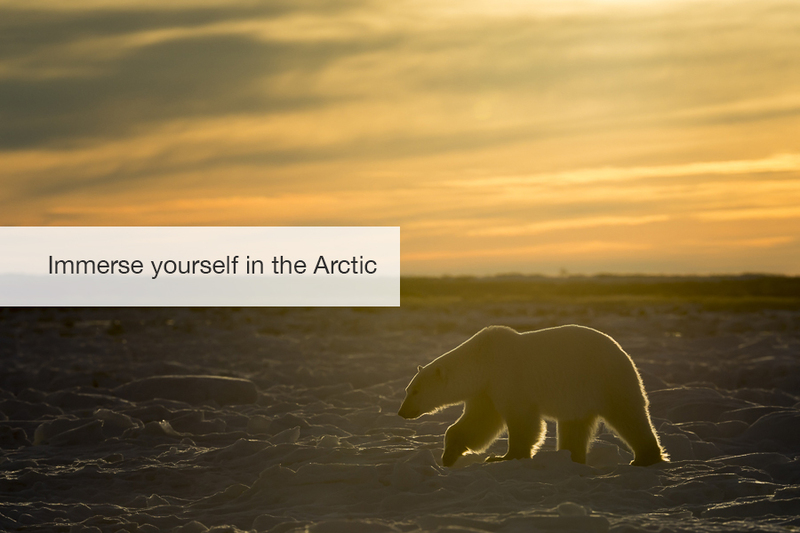 The location offers ground level photo opportunities to capture Arctic wildlife – including polar bears – in a pristine wilderness setting. Your photos will have stunning backdrops with the sea and landscapes surrounding the lodge. Its shoreline location is ideal for photographing bears on snow and ice. And, with an exceptional number of clear nights, you’ll see why Churchill is known as one of the best places for northern lights photography. 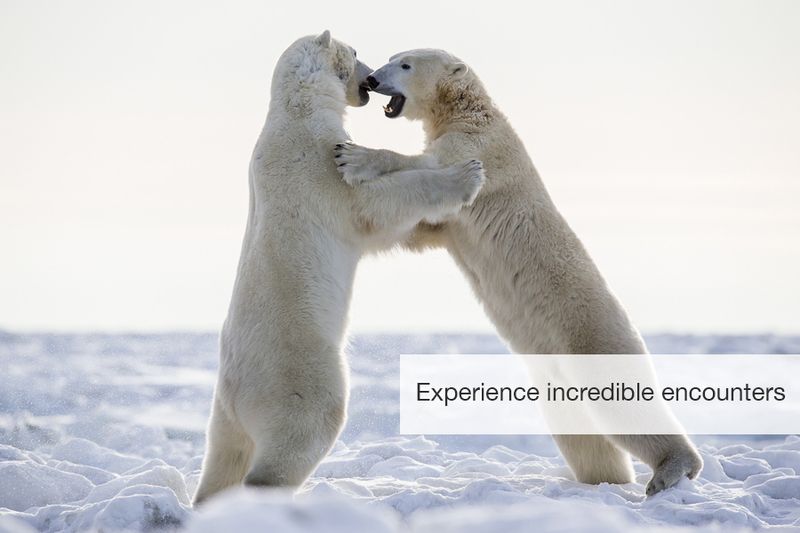 A thorough orientation on traveling in polar bear country will be provided prior to any outings. 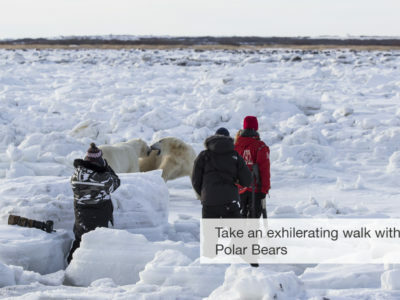 Each morning we’ll head out along the coast line, where the polar bears gather in droves until the Bay freezes so they can head out onto sea ice for their winter hunt. The vastness of the icy landscape provides a magnificent setting to see and photograph the bears in their natural habitat. We’ll head out on foot to search for wildlife including arctic and red foxes as they move around the snow and ice looking for a meal. Meandering over a system of established trails, enjoy the scenery, search for wildlife and take photos. When daylight begins to fade and we are finished photographing the bears and other Artic animals for the day, we’ll head back to the warmth and comfort of our base lodge. We’ll gather each night to share stories and photos from the day over appetizers followed by a veritable feast for the palate. Meals are prepared by Canadian bestselling cookbook authors and accomplished chefs. 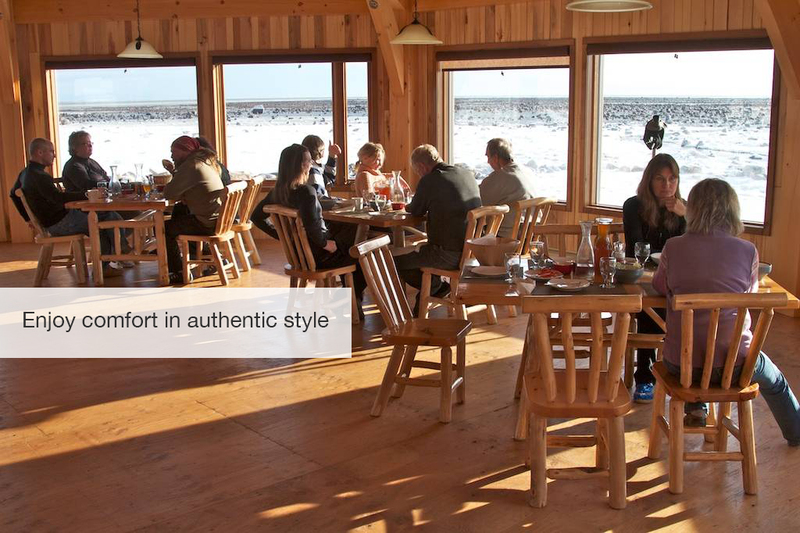 Using local ingredients and recipes inspired by Northern Canada, expect a delicious culinary experience. After dinner, be sure to keep an eye out for the northern lights! 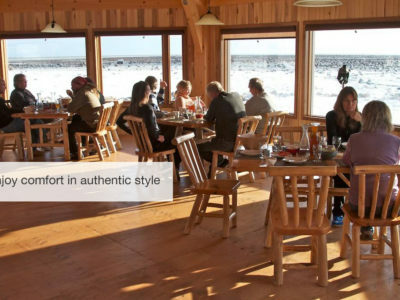 After a short flight back, we arrive back in Churchill where you’ll have time to explore and wine and dine at your leisure before heading back to Winnipeg. 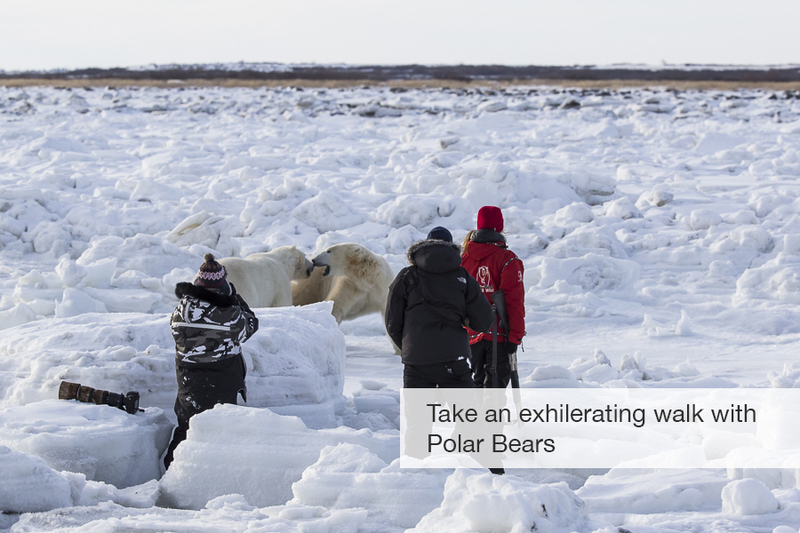 Experience the town’s unique northern charm visiting local places such as Cape Merry, the Port of Churchill, the Eskimo Museum, the Polar Bear Jail and short hikes along the coastline. Dog sledding and helicopter charters fit nicely into this afternoon if you’re so inclined. After taking in the local sites, we will meet up and help you with your transfer to the airport to catch a flight to Winnipeg. You will spend the night in the same hotel in Winnipeg as you did on the first night. After a restful sleep you will pack your bags in preparation for your flight home. You will also enjoy a breakfast at your hotel before your trip back to reality. Please note: The above day-by-day Itinerary is only a guideline. The daily itinerary is weather-dependent and sightings-dependent, it could vary slightly. Make sure you have a tripod to help you photograph the Northern lights.